This stage prop kit is perfect for adding atmosphere to any 1920s production! PLEASE NOTE: With the exception of the working “ON AIR” sign none of the items are in working order BUT they all look fab as stage props! LIMITED STOCK: There are only four of these sets available, if it turns out that they are all booked out on the dates you’d like, we will contact you and refund your money within 24 hrs. 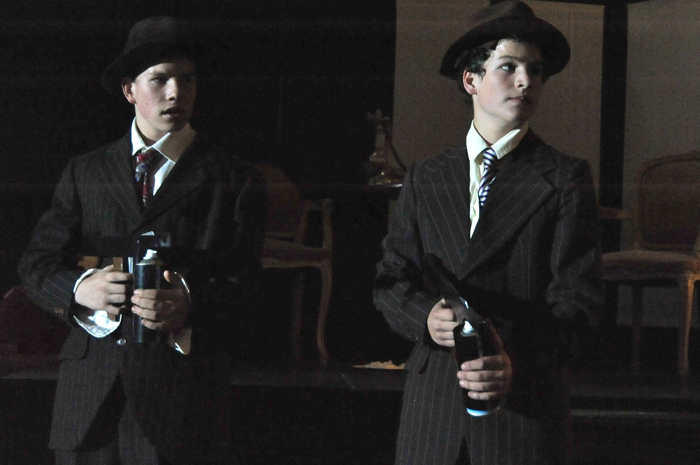 Check out our Stage Props- 1920’s Style Kit 2 here. A variety of essential stage props of the 1920’s era, perfect for adding to the Speakeasy feel of the time. Good stage props are such an important part of a play. It’s the little background visuals that can really add an extra level to your production. The price is for the hire of the stage prop kit per week on a sliding scale. 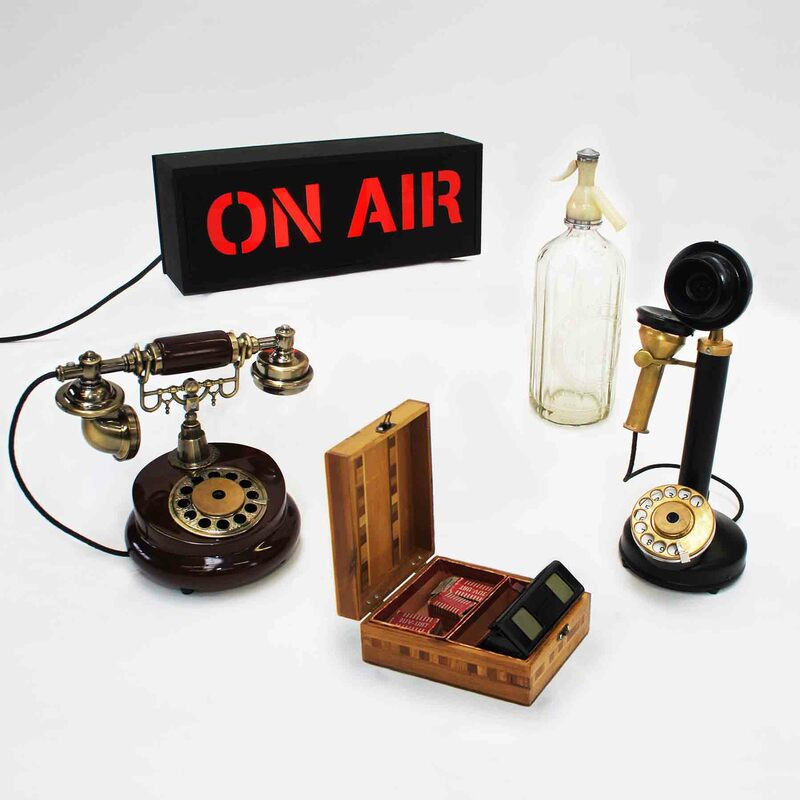 The prop kit includes a soda syphon, 1920s Bakerlite viewer with wooden gift box (similar to the one given to Blousy Brown by Bugsy), a 1920’s Candle stick phone, an ornate style phone (like Dandy Dan’s) and a working ‘ON AIR’ Sign. There is a £100 deposit on all hires. Once your hire items have been returned to us, the deposit will be refunded. Please see our terms & conditions for more information.